Or as low as $174.99 per month over 6 months. Apply Now. 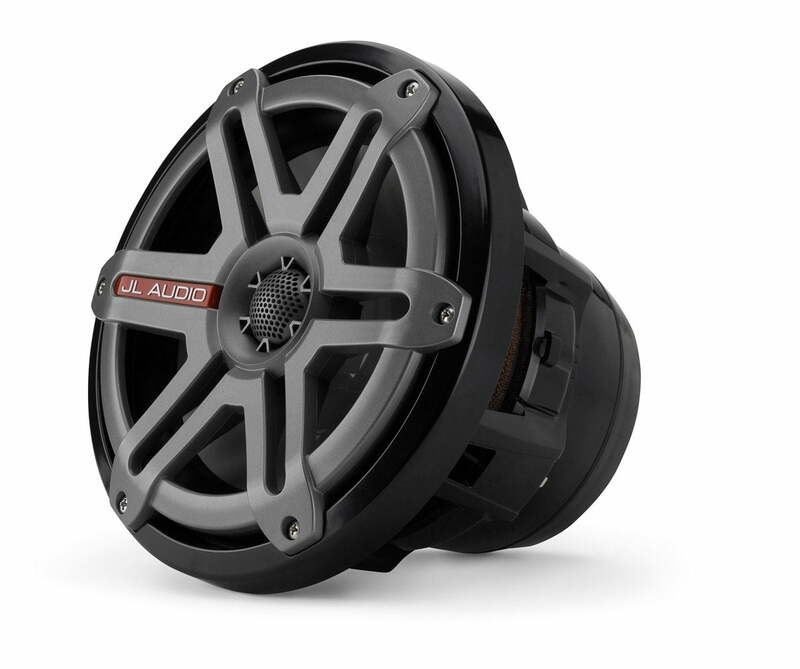 The JL Audio M880-CCX-SG-TLD-B eccentric 8.8″ diameter provides 36% more surface area, almost double the excursion capability and +6 dB greater low frequency output than M880-CCX’s little brother, the M770-CCX 7.7″ coaxial systems. This huge upgraded provided a far larger increase in efficiency as well as the ability to play much louder and cleaner at high volumes. Although these speakers require a larger mounting hole, they are well worth the modification for the amount of sound they can produce. An oversized 1.20-inch pure silk dome tweeter handles the high-frequency duties. Silk has been chosen for its lightness, excellent damping properties and smooth response characteristics that ultimately result in extremely transparent crisp audio. You will appreciate the clean, articulate high-frequency response of the M-Series dome tweeter, especially at higher volume levels. 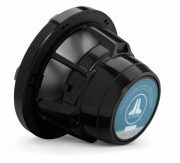 The tweeter is specially treated to withstand the harsh marine environment, and is optimized to provide sound that will cut through even the most demanding of those marine environments. 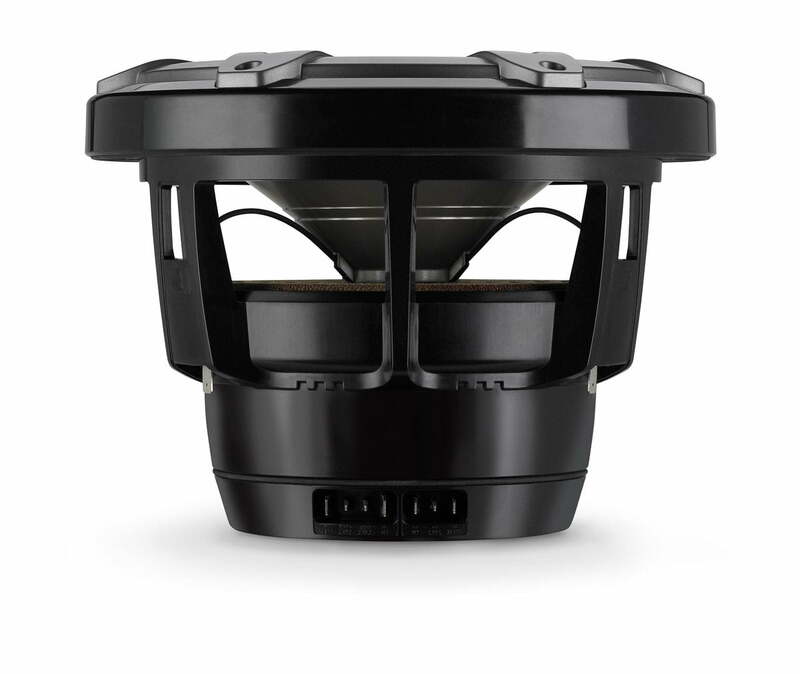 Specifically engineered polymer baskets are corrosion and UV-resistant and encapsulate the woofer’s motor system to prevent corrosion. The system’s true 2-way passive crossover network is sealed within the protective capsule and mounted to the woofer’s frame so that it does not require additional mounting provisions and is protected from the harmful elements. 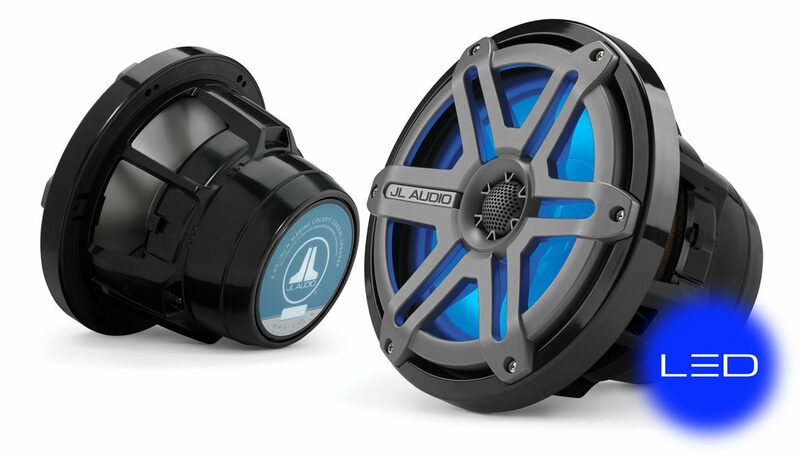 JL Audio utilizes Ultraviolet testing chambers (to simulate years of sun exposure) and Salt Fog chambers (to simulate years of exposure to salt-water environments to ensure that the M-Series not only sound great in your boat, but will also sound great for many, many years.